‘Beauleaf’ is a ballpoint pen with a small flower. ‘Beauleaf’ comes in six colors and is made of a harmless silicone material. Like ‘Pooleaf’, ‘Beauleaf’ expresses the sensibility of wildflowers that whisper in the breeze. 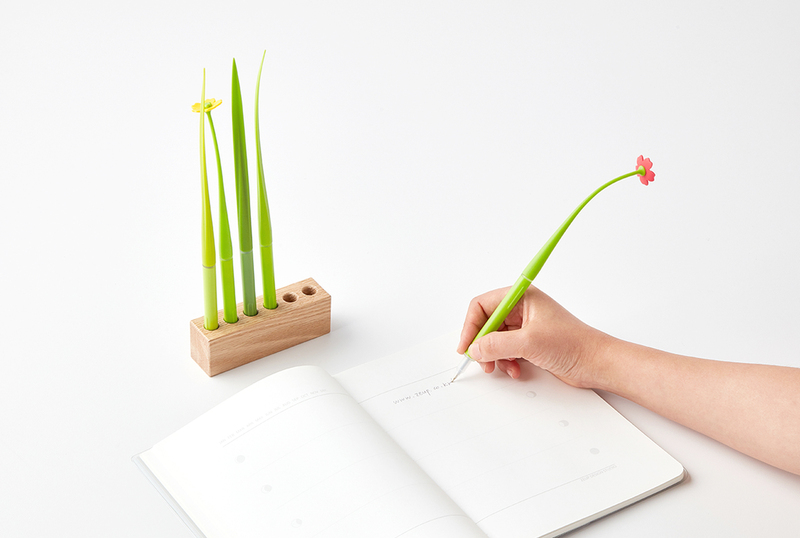 While writing, it gives the soft feeling of grass and petals swaying in the wind. A small magnet is embedded in the front of the ballpoint pen, so it can be stood one end on a metal surface. If you use all the ‘Pooleaf’ ballpoint pens, you can simply put them in a small flowerpot for a pleasant visual addition to your own space.